State regulations are continually being revised and updated, and new programs are being developed. The process includes drafting regulations in coordination with interested and affected parties, soliciting public comments at formal workshops, having the draft examined by the Legislative Counsel Bureau’s legal staff, presenting it at a State Environmental Commission (SEC) Hearing for adoption and finally sending adopted amendments and regulations to the Legislative Review Committee for approval before becoming effective upon filing with the Secretary of State’s Office. The whole process takes at a minimum 6 months and often one or two years. Regulations that have been recently adopted or are currently scheduled to be presented to the SEC may be viewed on the SEC web site. Under the authority of Title I of the CAA, the U.S. Environmental Protection Agency (EPA) has developed and promulgated health-based air quality standards, or NAAQS, that limit the maximum levels of certain pollutants in outdoor air. The CAA requires EPA to review these NAAQS every five years. Each state is responsible for developing plans to demonstrate how those standards will be implemented, maintained and enforced, or if an area is not attaining the standards, the state plan must demonstrate how it will attain the standard. These plans make up the state implementation plan (SIP). The plans and the rules associated with them are enforced by the state, and, after federal approval, they are also federally enforceable. States must involve the public, through hearings and opportunities to comment, in the development of SIPs. A SIP is the framework for each state's program to protect the air. It is not a single plan, but rather the cumulative record of all air pollution control strategies, state statutes, state regulations and local ordinances showing what the state has done, is doing, or plans to do to assure compliance with federal NAAQS for "criteria" pollutants. Criteria pollutants are certain pollutants—carbon monoxide, sulfur dioxide, ozone, nitrogen oxides, lead and particulate matter—that are known to be harmful to public health and the environment. Nevada enforces state ambient air quality standards and has also adopted most of the NAAQS into the state air quality regulations. Nevada’s original SIP was submitted in 1972 and, being a living document, has undergone multiple revisions over the years. Because there have been so many changes to federal, state and local air quality programs in the last 35 years, there is not a single definitive document that contains all of the SIP requirements. SIPs are generally a collection of regulatory, non-regulatory and quasi-regulatory elements. 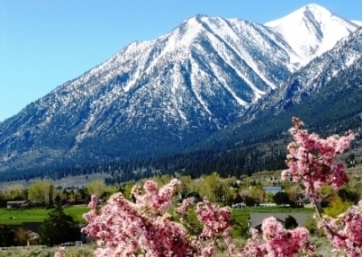 For purposes of the SIP, Nevada is divided into three jurisdictions: Nevada Division of Environmental Protection (NDEP); Clark County, which houses Las Vegas; and Washoe County, which houses the Reno-Sparks metropolitan area. The Clark County Department of Air Quality and the Washoe County District Health Department - Division of Air Quality Management have been delegated the responsibility to complete SIP requirements for their respective county areas. The NDEP is responsible for the rest of the state. Hard copies of state SIPs are available at the NDEP main office for review. SIP plans and studies completed by Clark and Washoe Counties are available on their web sites or at their respective offices. State implementation plans, statutes and regulations implemented under Title I of the Clean Air Act are continually being updated. New proposed regulations or proposed revisions to existing regulations may impact the Nevada SIP. Proposed amendments to the Nevada Administrative Code may be viewed on the SEC’s web site.